Gaza’s health ministry said Tamer Abu el-Khair, 17, was shot in the chest in the southern city of Khan Younis and died in hospital. Earlier on Saturday, Adham Amara, 17, was hit in the face by Israeli gunfire and died in a protest camp in east Gaza City. At dawn, before the protests began, Mohammed Saad, 21, was hit in the head by shrapnel and died. The health ministry said 64 protesters have been injured by live fire. 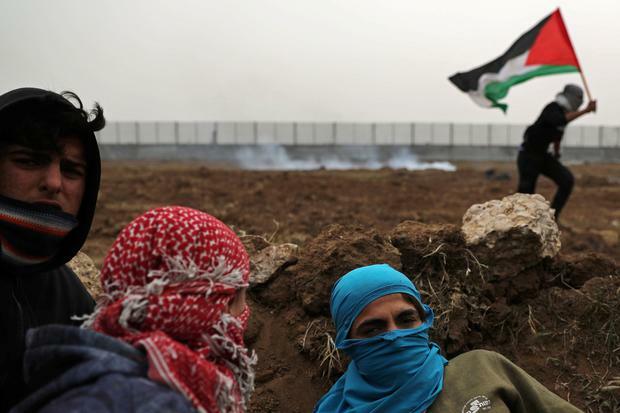 As the crowds swelled throughout the afternoon in response to Gaza’s Hamas rulers’ calls for a large participation, dozens of protesters approached the fence, unfurling Palestinian flags and throwing rocks and explosives towards Israeli troops. Israeli prime minister Benjamin Netanyahu is seeking his fourth consecutive term in April 9 elections, but is facing a serious challenge from a group of ex-army chiefs who have criticised what they say is his failed Gaza policy. The fence protests, which began exactly a year ago, have been aimed in large part at breaking the Israeli-Egyptian blockade on Gaza. Protest organisers say the weekly event will continue into a second year, and proposed one for next Friday. That comes despite an announcement by Hamas on Saturday afternoon that Egypt, mediating between the militant group and Israel, has brokered a deal to ease Gaza’s blockade in exchange for calm. The emerging deal would see Israel allow more goods into Gaza, expanding its fishing zone off the coast and other economic incentives. But Hamas says the marches will continue until the closure is fully lifted. The Israeli military estimated 30,000 Palestinians were gathered at the marches on Saturday. 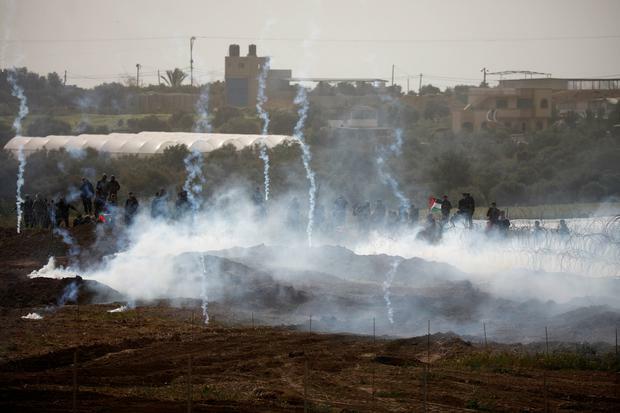 According to a Gaza rights group, 196 Palestinians have been killed in the demonstrations over the past year, including 41 minors, and thousands were wounded by live fire. An Israeli soldier was also killed in the context of the marches.